How much does it cost to set up a personal injury trust? What is the charge or fee for preparing a personal injury trust? I charge a fixed fee of £400 plus VAT, that is £480 including VAT. For this fixed fee I will prepare a bare trust document, coach you through the signature process and once your trustees have opened a bank account, I will give notice of the compensation and trust to benefit agencies. The way I work is set out here. I prefer to work on a fixed fee as you know where you stand. Ask me about paying the fee from the compensation once the trust is set up. 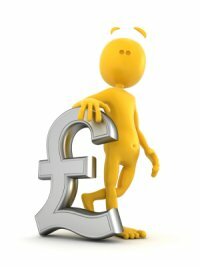 I have heard of a wide range of fees charged for preparation of personal injury trusts. I think my fee is fair, but if you hear of a fairer one do please let me know. This entry was posted in Personal injury trust. Bookmark the permalink. 15 Responses to How much does it cost to set up a personal injury trust? I had a car accident resulting in injuries which I still suffer from now as well as mental health issues caused by a serious car accident. I was off work for 9 months and was made redundant a few months after returning to work-not related to injuries. I was struggling to drive which they had been flexible about as I was a ‘remote worker’ and could work from home, managing my own diary if I had to visit sites. I am now working a temp job locally as mentally and physically I cannot get the same job with another company due to the amount of travelling required to an office base and sites. I am earning 1/2 my previous salary and cannot survive after this month. I have finally had news from my solicitor that the other parties insurance company have admitted full liability. I have an IVA and I am hoping to pay this off but worried that if the settlement isn’t enough to pay it off in full with some left over for my future that I will lose all monies related to loss of future earnings to the IVA and have nothing to future proof my remaining working years. A trust fund was mentioned but does this mean that the IVA Would not be entitled to take it? Many thanks in advance. The answer lies in the IVA. Usually, the earnings loss element of personal injury compensation is available to your creditors, but do check the terms of your IVA. The type of trust used for personal injury compensation is a bare, or simple, trust. This type of trust offers no protection against creditors. There are other types of trust, such as a discretionary trust, but such a trust specifically set up to hide money from your creditors will be objected to. The trusts dealt with here, are to legitimately protect a person’s entitlement to means tested benefits. If you receive, or may receive in the future, means tested benefits or financial help with care, then a trust is the answer for you, at least so far as benefits are concerned. The benefits you mention are not means-tested. If you do claim means-tested benefits, you will need a trust. As the amount of money is not great, you could get away with being a trustee yourself plus one other. You would have the security of holding the cheque book and knowing your signature is necessary for a financial transaction. On that basis, is there someone who can help you and be a trustee? My Partner had an accident at work 3 years ago where the company he worked for have admitted full liability, however, due to complications with his injury he is still having corrective surgery on his foot and ankle. At the beginning he was receiving weekly insurance payments of around half his wages to live on but they stopped after two years. He then had an interim payment of £12000 as he had mounting bills to pay. His solicitor at the time kept saying about setting up a trust fund as it would affect any benefits he was getting and set up an appointment with his colleague in the financial section of their firm. The lady he saw pretty much said the same thing about it affecting his benefits and to go out and find a suitable bank account but my partner was living off this money at the time so panicked about not being able to get hold of it. He cleared his debts and later down the line got another interim payment of £10,000 to live off. After his 3rd operation he moved in with me last year and his new solicitor, his previous solicitor retired, applied for another interim payment of £28,000 which he put in his bank. This year I lost my job and we have ended up on a joint jobseekers claim even though my partner is still signed off sick and awaiting a further operation. My partner had found out in May, from his loss adjuster, that he was no longer employed by the company. We were open to the benefits people as to the fact he has had personal injury payments and they could see the last one on his bank statements. He has applied and received a further interim payment of £10,000 and we were looking at now setting up a trust fund as we are on benefits. On contacting the solicitor she put us on to her colleague again. We received an email from her last night saying that since the 1st payment was over 52 weeks ago she does not think a trust fund is any good for us now but would like £250 +vat payable at the meeting to give us more advice. It may seem that we are naïve and about money we are but my partner never wanted to go onto benefits and all he wants do is get back to work and all this is scaring him and making him very depressed which is worrying to me as he is already being treated for ptsd in connection to his accident. This is a good example of doing everything in the wrong order. A trust for compensation can be set up at any time. There is NOT a rule which demands a trust be created within 52 weeks of the first payment of compensation. The problem created by the passage of the 52-week period is that money received during and since that period will count against benefit entitlement. It will be treated like any other money held, subject to the dissipation of capital rules. I have found benefit agencies to be quite helpful in situations like this. They may feel supportive of someone who has lived independently and accept that had the trust been set up years ago, the compensation would have to be ignored. Set up a trust now, as at least it gives the prospect of claiming benefits at some point in the future. It will also protect the remaining compensation should care be required. There is no set list as to who may be a trustee, save a trustee must be at least 18 years of age. The most important points are that you trust the person and they will work with you as to investment and expenditure of the compensation. The way I work is explained here. I charge a fixed fee of £480 which includes VAT and you can pay me from the compensation. My wife is due a compensation payout for a personal injury claim. The amount she will receive is 15.000.00. we are on benefits. Please advice on setting up a PI Trust. With that amount of compensation you need a trust, as it will almost wipe out your benefits. A good starting point which sets out the points you must consider can be found on this website. I came across Marks website via a google search for solicitors that do trusts for personal injuries. Suffice to say it was the best google search I ever had. After reading his articles I contacted Mark as I was due to receive a final settlement shortly and needed a trust setting up as I am in receipt of benefits and did not want any monies to be taken into consideration as capital and thereby making me ineligble for benefits as compensation is meant to put you in the position you would have been in but for the accident. Mark asked me for various information about the accident and how much the settlement would be. He needed various documents to verify myself and trustees. All this was done by email which was brilliant for me as I do not like using the phone and do not cope well with stress. Mark has made this all so stress free and simple to achieve. It has been brilliant to come across a consumate professional who has made everything easy to achieve and not made me feel stupid or inadequate in any way. I only wish I had come across him sooner when I needed a professional to fight my case. I only settled as it was seven years and ongoing and I was destitute and could not carry on any longer. I cannot reccommend him enough. If you need a personal injury trust setting up HE IS the man. Hi i am due compensation of under 6grand for personal injury from a car accident, my husband works low income, in reciept of HB, tax credits, cb and ctc will we lose amy benefits due to compensation payout? We have no savings amd are in debt whicb most of the compensation will be spent on! If the household has very little money and the compensation will not take you over £6,000, then you do not need a trust. You still need to tell benefit agencies about the compensation. How you use the money is important. If expenditure is not considered reasonable for someone receiving benefits, you will be treated as still having that money. This is called notional capital, which can create a problem should your finances ever improve a little. Benefit agencies do not tend to object to paying off loans, but they can be sceptical if the repayment is to a friend or family member. I have criminal injury compensation payment of 15 000 and I am having 156 taken from my benefits because of this. Can I set up a trust at this point or is it too late. You should not be losing benefits because you have received personal injury compensation. You can set up a trust now as there is no time limit on when a trust can be established. If much time has passed it may be difficult to show what money is compensation and what is not. Benefit agencies sometimes believe a trust must be set up within one year of receipt of the compensation. This is a misunderstanding of the rules, but it does sometimes create a problem. I do not claim benefits so do I need a personal injury trust? 52 weeks to create a personal injury trust? Why aren’t there more personal injury trusts? Who must I tell about my personal injury trust? What personal injury payments can be protected by a personal injury trust?